The Moto GP on Phillip Island is an annual event that draws crowds in by the thousands! Every year motor racing enthusiasts and lovers of fast cars, load noises and track side seats come to witness one of the biggest events on the racing calendar. Bring your camper trailor, pitch a tent, park your motorhome or book into any of the Phillip Island accommodation properties close to the track and begin a motor racing holiday to dream of. One of the best racing events on the calendar is the Phillip Island Moto GP held every October and sees the likes of Stoner, Rossi, Pedrosa and Lorenzo take to the famous circuit to show their skills. It’s an event that showcases only the best of the best where the world most famous motorcycle riders tough it out to be the first to cross the finish line. The Moto GP of Phillip Island is an exciting weekend, filled with thrills, adrenalin pumping action, load cars and famous racers. See crews work in the pits, get grandstand seats so that you don’t miss out on any of the action or perhaps a general admission ticket so that you can see and do all that the big events has to offer, is something that you might be interested in. The Phillip Island racing circuit is a famous track, not only for it twists and turns but also for the awesome views that you can marvel at all around the track. Get a seat at many different vantage points around the track and watch soaring cars do speeds of up to 320km an hour. For this one weekend in October Phillip Island turns into a racing paradise visited by so many different people from all over the world, so it is always advised that you book your accommodation or camp ground site well in advance and also secure your ferry spot if you plan to travel in your own transportation. A number of tour groups organise planned tours where your tickets, entry, meals and resort accommodation is all included into the one price and there are also excellent specials and holiday deals specifically for this weekend so that you can have everything organised before you begin your travels. It is one of the most sought after racing events in the world so make sure that you secure your booking so that you don’t miss out! Not only can you enjoy world class racing at its very best but over the course of the weekend there is plenty of entertainment, music and fun filled times to also enjoy while you are here. 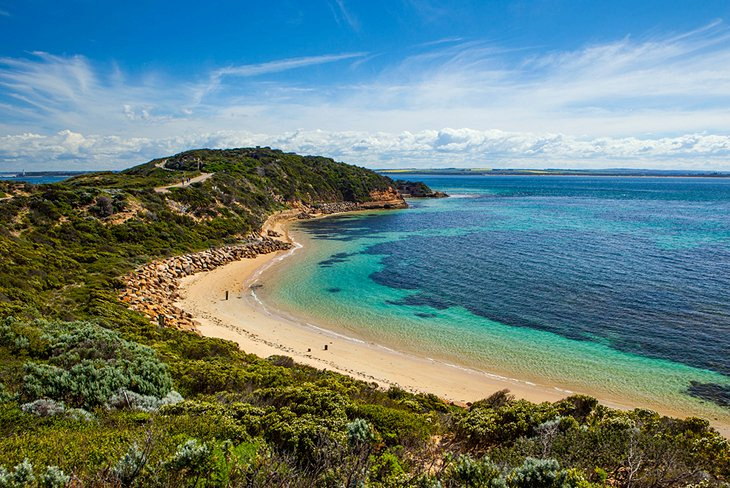 Phillip Island isn’t only home to one of the best racing events you can ever attend but it is also an island steeped in history, heritage, natural wonder, stunning beauty and rugged coastlines and beaches. While you are enjoying the racing you can also visit numerous other attractions and fill your trip with cruises, charters, an abundance of wildlife and so much more for an unforgettable trip away!